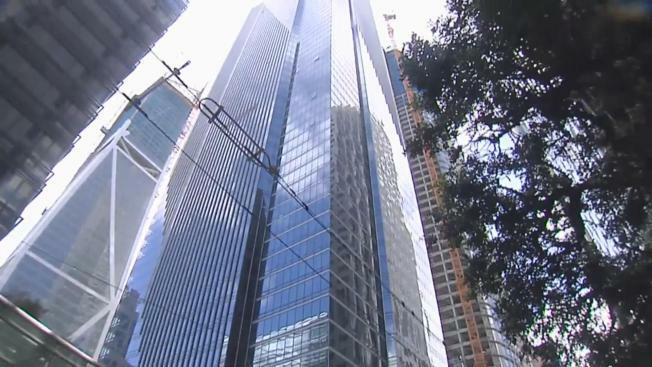 The sinking and tilting Millennium Tower must adjust its now illegally steep handicapped access ramps within 30 days or face an abatement order issued by the city, NBC Bay Area has learned. At a hearing Tuesday, Ron Tom, the assistant director of the Department of Building Inspection, declared a 30-day “advisement period’’ related to a fix of the overly steep access ramps. A year ago, the city issued a violation notice after inspectors determined its wheelchair access ramps were far steeper than allowed by law. The ramps sloped dramatically after construction as the building continued to sink and tilt. It has now sunk some 17 inches. Such an order can be an obstacle in obtaining any loans on the property. Meanwhile, the Millennium Homeowners Association faces a separate notice of fire safety violation because of gaps between its façade and structural frame. The openings, according to an outside consultant, are the apparent product of the building’s tilt. Experts say they pose a fire safety hazard because such gaps can allow smoke and flames to shoot up between floors. This week, the attorney for the Millennium Homeowners Association wrote the city saying the association is “diligently” investigating the wall gaps and will keep the city informed. “At this point, the (association) does not know if it is an isolated problem, a construction defect, or a problem related to the settling of the building,” attorney Vision Winter said in his letter to the city. Winter’s letter did not address the handicap access ramp violation. He could not be reached for comment.